Is this the shape of the future cargo cars? Technological developments in the automotive world is rapidly increasing. Air condition that full of pollutants was demanding the automotive manufacturers create emission-free vehicles with electric powered. Not only private cars which will carry the latest propulsion technology that uses electrical systems, commercial car will be using the same drive technologies. 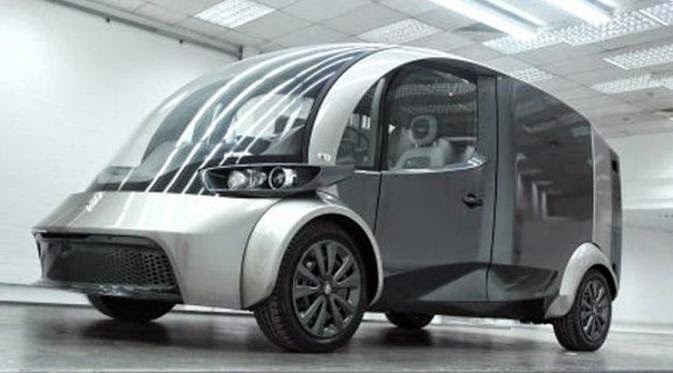 In fact, as technological developments make the shape of the concept of freight car has a futuristic and aerodynamic design as created by Liberty Electric Cars. The company answered the complaints of businessmen who want a vehicle capable of transporting goods in large numbers but produces lower emissions. As reported of Carscoops on Thursday, June 5, 2014, Liberty Electric Cars is a company that used to supply the electrical components on a variety of vehicles including the Range Rover that uses the Liberty E-Range as the electric drive. Now the company is creating a future cargo car, named Deliver. The electric car project has been started since November 2011. The company aims to reduce car emissions generated by the transport of goods up to 40%. In working this concept car, the company wearing a very futuristic design like this car comes from the 2020s.